Even after adding a half dozen new wallpapers to the gallery last week, HK and Caniroth kept at it, and we’ve got multiple new Diablo 3 wallpapers to add this week as well. 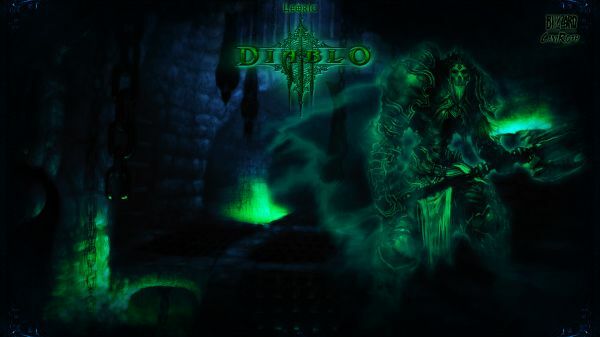 It’s almost like the old days, when untouched Diablo 3 artwork was plentiful and passions were running high. 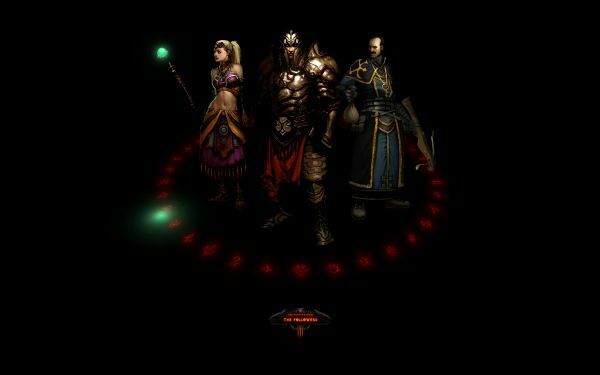 HolyKnight3000 created a new piece featuring the three Followers, posed and ready for action. (So long as you’re only playing normal, and alone. Otherwise they’re busy kicking back in town.) There are two versions of it, with a black background or a blueish sort of hallway. HK even touched up a variant of his wallpaper from last week, with the Heroes slightly remixed and the monsters and dungeon passageways removed from the corners. Check that out here. Caniroth presents us with two new pieces as well. One he whipped up in record time last week, after the Diablo Facebook coughed up that piece of Leoric concept art. Caniroth tinted him green and stuck him in a dungeon, where he belongs. 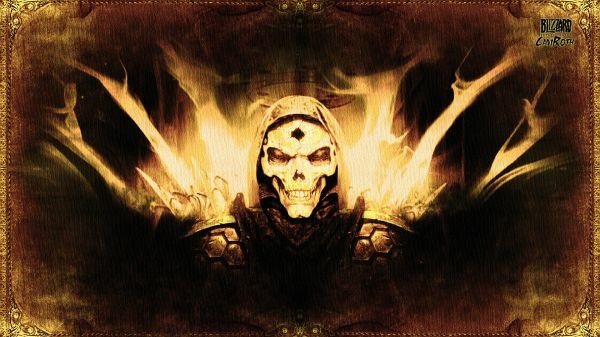 Caniroth also created a desert-hued wallpaper with a Diablo II style demon skull that’s almost certain to frighten your grandparents and/or mother, and thus comes highly recommended.